Start off your visit on the 27th (Sun): explore the striking landscape of Pyha-Luosto National Park. Keep things going the next day: fly down the slopes at Pyhatunturi and then identify plant and animal life at Kopara Reindeer Park. 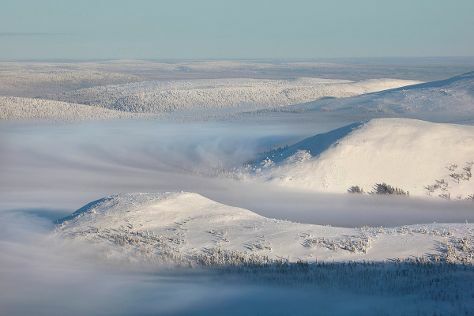 For other places to visit, maps, where to stay, and other tourist information, read our Pyhatunturi trip planning website . Brussels, Belgium to Pyhatunturi is an approximately 10-hour flight. You can also drive. Traveling from Brussels to Pyhatunturi, you'll lose 1 hour due to the time zone difference. While traveling from Brussels, expect much colder days and a bit cooler nights in Pyhatunturi, ranging from highs of 3°C to lows of -2°C. Cap off your sightseeing on the 28th (Mon) early enough to travel to Akaslompolo. Explore the numerous day-trip ideas around Akaslompolo: Pallas-Yllastunturi National Park (in Muonio) and Giewont Husky Adventures (in Kittila). Find out how to plan Akaslompolo trip without stress by asking Inspirock to help create an itinerary. You can drive from Pyhatunturi to Akaslompolo in 2.5 hours. Expect a daytime high around 3°C in October, and nighttime lows around -3°C. 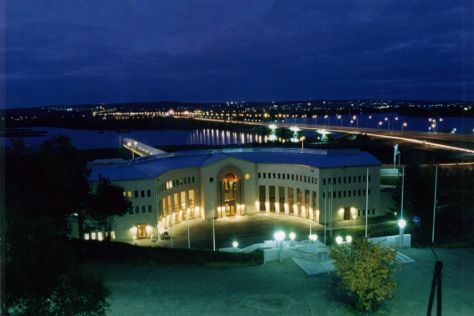 Finish up your sightseeing early on the 31st (Thu) so you can go by car to Rovaniemi. Kids will appreciate attractions like Santa Claus Village and SantaPark - the Home Cavern of Santa Claus. There's still lots to do: get engrossed in the history at Arktikum, see Santa Claus Office, snap pictures at Lumberjack's Candle Bridge, and get curious at Pilke Science Centre. To find other places to visit, maps, where to stay, and more tourist information, read Rovaniemi online sightseeing planner . Traveling by car from Akaslompolo to Rovaniemi takes 2.5 hours. Alternatively, you can take a bus. In October, plan for daily highs up to 3°C, and evening lows to -1°C. Wrap up your sightseeing on the 3rd (Sun) to allow time to travel back home.